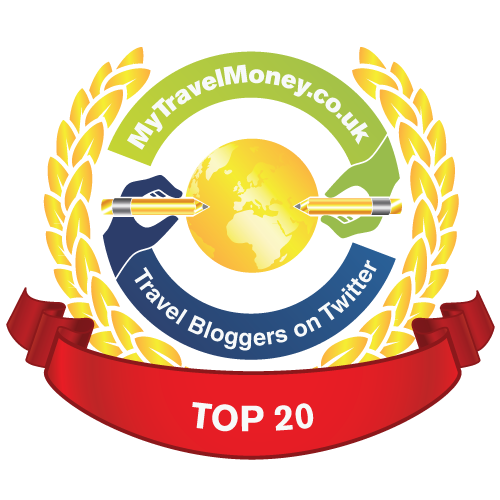 When I set up The Mum Blog I decided that travel and family travel would be right at its core; that’s why the header features two little passports – one to represent me, and one for No 1 Son, and why the tagline is ‘a magical rollercoaster journey’. 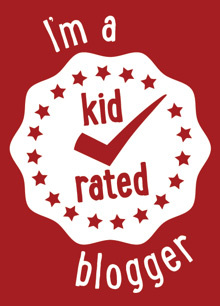 Since the blog launched four years ago we’ve had some incredible adventures (and if you’d like to nominate The Mum Blog in the travel category in this year’s Brilliance in Blogging Awards, well, that would be AMAZING *flutters eyelashes, hopeful grin*). Of course one side-effect of all that travelling is that our luggage is looking decidedly worse for wear, which is why I’m drooling over this fabulous prize giveaway to kick off the 4th blogoversary celebrations of The Mum Blog. 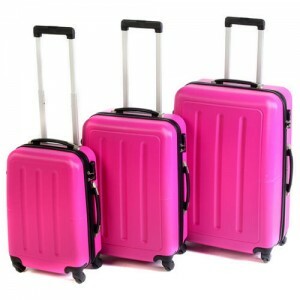 There’s no chance of mistaking the beautiful pink Constellation Galloway 3-piece ABS luggage set on the carousel. All of the cases boast 4 multidirectional wheels so that they glide alongside you, making it much easier to navigate through a crowded airport or city. The cabin case is compact enough to fit in the hold but has room for all your essentials for a weekend getaway; and the larger cases are ideal for family holidays as well as long-haul travel. An added bonus is that they have a combination lock, so they’ll keep all your belongings secure. And, they’re pink #win. Available from Littlewoods, the RRP of this gorgeous luggage set is £199, but I’m giving you the chance to win one in my easy prize draw. All you have to do to enter is leave your answer to the following question by the closing date, 11.59pm on 30 March 2015. The winner will be chosen at random and the usual The Mum Blog competition rules apply. Q: Where are you going on your next trip? Good luck! And if you want some advice on how to pack then this Louis Vuitton video on packing tips is still one of my absolute favourites. Why does breastfeeding have to be a battleground? Thank you to everyone who entered, the winner was Florence Cross. Congratulations! I am going to magaluf in august with a group of 16 girls for my best friends 30th birthday ???? My fiancé and I will hopefully be going to the Lake District for our holidays. A holiday here is just as good as a holiday abroad!???? Portugual for my cousin’s wedding in April. Can’t wait. I would love to go to Cuba in the Autumn if i can save enough money. To Fuerteventura, I cannot wait! We are going to Australia on our honeymoon which is actually a familymoon! 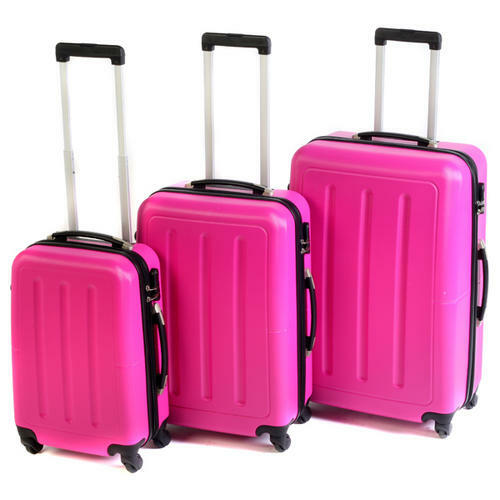 I’m flying down to Cornwall from Manchester (saves hours driving on the Motorway) so one of these fab pink cases would really stand out on the carousel!! I’m off to Venice in just over 2 weeks. Glasgow with work and then Greece with the family – our daughter’s first time on a plane – exciting! Off to Ibiza with the in-laws this summer. Ibiza is an annual destination for us and we got married there last year. Such a stunning island! Hopefully Disney world in Florida. We are off to Turkey in September!!! Hopefully Indonesia – Sumatra, Java and Bali. Good old Blighty. These cases will definatley brighten up the English weather….. I am going to Crete for a little bit of spring sunshine. To visit my family in Wales. To Aghios Gordios in Corfu, in just a very few weeks yayyyy!! Just booked a week in Barcelona. Never been to Spain before. The boys can’t wait to see the football stadium! I dont know if we will have much of a holiday this year as all my money has been saved for me to go to Kings Lynn on a residential driving course . At the ripe old age of 52 I have decided i have to learn intensively without the distractions of work and my complicated noisy family .so mayby only a small holiday to the coast later on this year! I might make it down to London to see my sister. I’m going to Barcelona on a hen doo. Really looking forward to it – might a bit warmer than the UK. We’re going to the Lake District in June then hopefully somewhere exotic in January! We are off to Blackpool in Sunday, the kids are beyond excited!!!!!! A big family get together in Dorset is booked for the summer. Utah! In the USA to give my family there a talk on our family history. London in a few months time! I haven’t decided yet, although I’d love to take my little nephews to the seaside sometime soon. The Lakes, in a few weeks! We have our first family holiday to Majorca in June… really excited to see my 3 year old daughter’s face when we get on the plane. She loves planes, and always points to them in the sky. Egypt – Next week so excited! To visit family in South Africa 🙂 Can’t wait. My 18 year daughter is off on her first holiday abroad to Greece with her boyfriend, and I would love to win these for her ? We are going to Majorca later this year to celebrate my mother-in-law’s 70th birthday. Durham to visit some relatives. off on a canary island cruise trip on Britannia! I am off to Reno Nevada soon, to visit my American cousins, so excited!! Off to Sorrento. Hubby went as a student (so many, many years ago!) but I have never been – so really looking forward to this! Two weeks in Scotland near the end of May. Hoping for sunshine! Milan on friday – so hurry up and send the bags over! We’re heading off to Iceland in September and can’t wait to go whale watching and visit the hot springs! Hopefully to London, to visit some friends I haven’t seen for some time and miss. The extended family are staying in an appartment in Torquay. we are going to Ribby Hall Village Blackpool ideal family holiday.